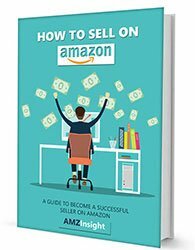 Frustrated with Amazon’s hard-to-crack BSR formula? We break it all down for you in our eBook about the A9 ranking algorithm, what determines A9’s results and what you can do to manipulate it. Our years of selling experience on different marketplaces of Amazon and continuous tracking the data of thousands of products from each category helped us to understand the Amazon’s dearest A9 algorithm. We are more than happy to share our findings with our users. What is the A9 Algorithm? What factors influence the A9 Algorithm?